Reading homered in the top of the first inning and never looked back, scoring three or more runs in three different frames in a 14-3 blowout. Portland starter Aaron Wilkerson was rocked to the tune of six runs on eight hits in 3 1/3 innings, and the relievers fared no better. The exception being rehabbing major leaguer Carson Smith, who retired both of the batters he faced. Smith struck out one batter and threw eight of his 12 pitches for strikes. He will make at least one more rehab appearance before being activated. A Jordan Betts RBI double accounted for the Sea Dogs' only extra-base hit. Jordan Weems was on base four times with two singles and two walks, and Aneury Tavarez chipped in a two-RBI single in the bottom of the ninth. Andrew Benintendi must have enjoyed driving home a career-high four runs on Thursday because he repeated it in an encore performance Friday. He drove home the first run of the game on an RBI groundout in the opening frame and later gave Salem a 2-1 lead with a two-out RBI single in the fifth. 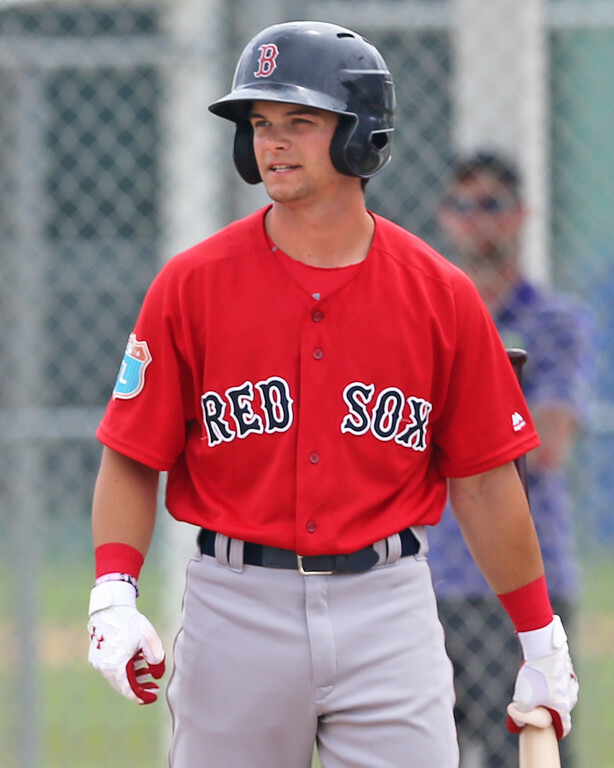 After Myrtle Beach took a 3-2 lead, Benintendi once again delivered with a two-run double in seventh that gave Salem the lead for good. He finished the night 3 for 4 with a walk. Yoan Moncada and Mauricio Dubon set the table for Benintendi all night. Moncada scored twice and reached base four times on two singles and two hit by pitches, and Dubon scored the other two runs as part of a 1-for-3 night. Moncada also stole two bases, upping his total to a Carolina League-leading 16. Outside of the top three hitters in the lineup, Salem’s offense was quiet, as Rafael Devers’ slow start to the season continued with an 0-for-4 night that included two strikeouts. Matt Kent turned in a solid 5 1/3 innings, allowing two earned runs on eight hits. Jamie Callahan picked up the win with 2 2/3 innings of scoreless relief, and Taylor Grover earned the save with a perfect ninth. The BlueClaws jumped out to a 3-0 lead and silenced the Greenville bats en route to a 5-1 victory in Lakewood. Marc Brakeman’s start was short-lived, as he was pulled after just one inning of four-hit, two-run ball. The next three relievers — Dioscar Romero, Jake Cosart, and Kuehl McEachern — each went multiple innings and allowed a single tally between them. The Greenville offense managed 15 baserunners but could not notch an extra-base hit and struck out 15 times. Luis Alexander Basabe drove home Tate Matheny for the only Drive run of the game. First baseman Josh Ockimey walked twice and catcher Austin Rei went 1 for 3 with a walk. Player of the Night: We try not to honor the same player every night, but Andrew Benintendi and his red-hot bat have forced us to name him Player of the Night for the third night in a row. The fourth-ranked prospect drove home every run in Salem’s win Friday and, if his .365/.427/.659 line is not enough, he stole his fifth base of the season as well.